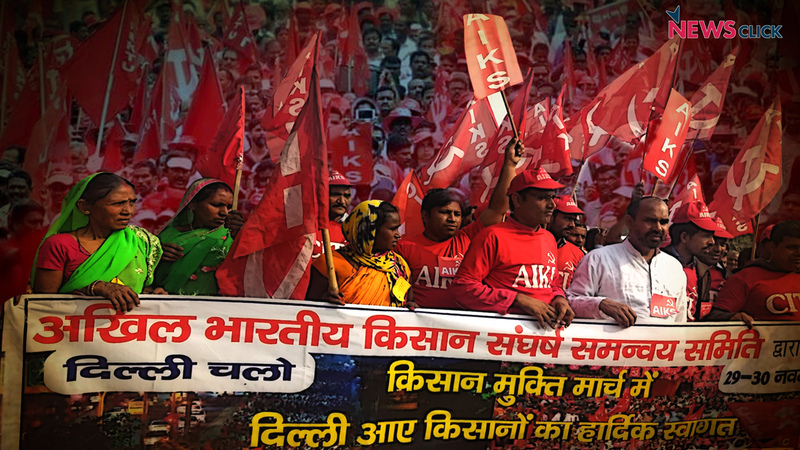 Setting the tone for the movement ahead, a draft with farmer’s demands has been issued in public interest to mobilise people against the anti-farmer NDA regime. 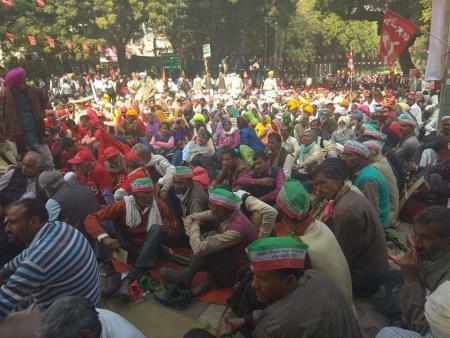 Congregating in Delhi, thousands of farmers and tribals from 26 states of India, marched from Ramlila Maidan to Parliament Street to make their voices heard at the gates of India’s Parliament. Holding red, yellow and green flags, singing songs and shouting slogans, the historic farmers’ march pledged to intensify their struggle against the ‘kisan virodhi’ policies of the Narendra Modi government that had added to their distress, and oust it in the next general elections. 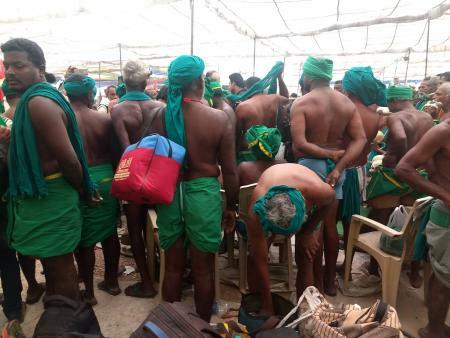 The farmers, united under the umbrella of the All Indian Kisan Coordination Committee, are demanding that Parliament must convene a 21-day special session to discuss the ongoing agrarian crisis. If the Modi government can conduct a midnight session in the House to pass the GST (good and services tax) Bill then why are the farmer’s issues not on its agenda? the farmers asked. They are also demanding Parliament must pass the two Bills prepared by a Kisan Parliament last year to ensure liberation from debt and assured remunerative prices. Two Bills have been introduced as private member bills in Parliament by K.K. Raghesh, a CPI(M) MP and Joint Secretary of AIKS in Rajya Sabha, and by Raju Shetti, MP from Maharashtra in the Lok Sabha and leader of the Swabhiman Shetkari Sangathana. Addressing the farmers, Raju Shetti said, “Aaj Kisaan yahan pe nange aaye hai, aur asliyat ye hai ki kisaanon ne iss sarkaar ko nanga kardiya hai. Ye hakikat leke hum yahan aaye hai, Narendra Modi ko chetawani dene.” He added, “Desh ki azaadi ke baad pehli baar kisan iss tarah ek manch pe aaye hai. Agle saal lal quile se bhashan kaun dega ye ab kisan tai karenge.” (The farmers of the nation walked naked today, but the truth is that the farmers have exposed the Narendra Modi government, we are here to warn him and his regime., This is the first time in independent India’s history that farmers have come together like this, it is up to them to decide who will give the speech next year from the Red Fort. Riding on the wave of farmer angst against the Modi government, Congress President Rahul Gandhi, Delhi Chief Minister Arvind Kejriwal and National Conference leader Farooq Abdullah took on Modi for his ‘dictatorial tactics’, assuring them that their parties would make the farmers’ agenda an electoral during the Lok Sabha poll next year. While seeking votes, the BJP government had promised the farmers complete loan waiver, 1.5 times cost over the cost of production of the farm produce, fair price of commodities and doubling for farmer incomes. Ahead of the 2019 polls, while the BJP and RSS are convening Dharma Sabhas and polarising voters in Kashi and Ayodhya, farmers and the common people of the country are convening their own Parliament to set the agenda for the future. 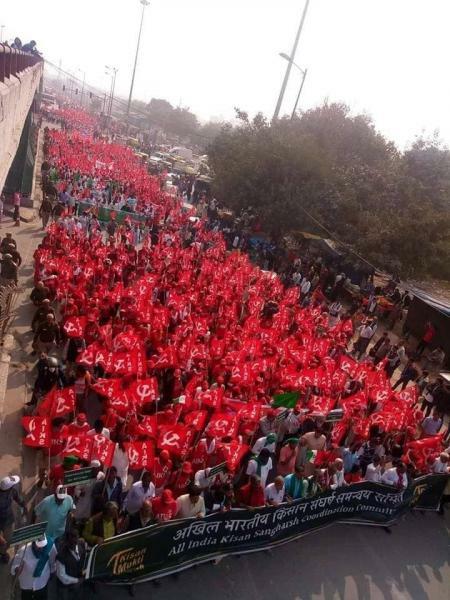 The march in Delhi today was modelled on the lines of the Kisan Long March in Nashik earlier this year, With the upcoming worker’s strike on the January 8-9 and the demand draft of the farmer’s movement, the fight of the common people of the country against Modi’s government is only set to intensify.